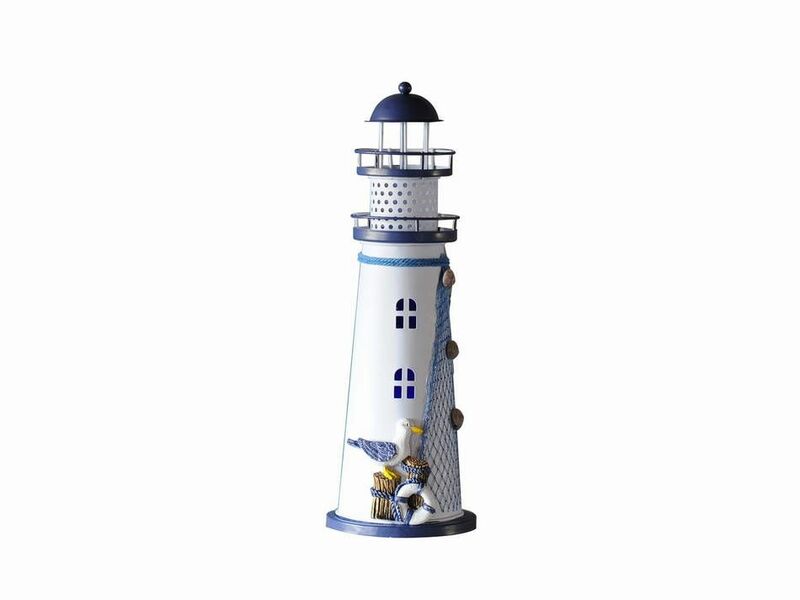 LED Lighted Decorative Metal Lighthouse with Seagull 12"
Light up any room with this charming LED Lighted Decorative Metal Lighthouse with Seagull 12". Handcrafted by our master artisans, this decorative lighthouse is the perfect addition to any beach inspired room in your home or office. Battery operated, this LED lighthouse can be placed in any location indoors and stay on for hours. The single multi color LED bulb is super bright and gives a beautiful glow inside the lighthouse. Bring a piece of the beach back home with this LED lighthouse and show your visitors your affinity for the beach lifestyle.